Each product has its own requirements. Some need high stiffness or high strength. Others require high thermal performance. Sustainable or biodegradable. Light weight or heavy weight performance. GreenGran BN offers a number of biobased granules grades, which are unique in their characteristics. What they have in common is that they are all natural fibre polymer composite granules for injection moulding applications. Hereunder you find the types including their typical qualities. Or, go to the download page. The next page further advises you in your material selection. It is not always easy to select the grade which most fit to your product specs. 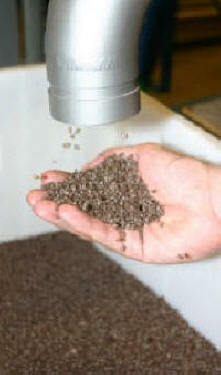 Our experts have a long tradition in polymer material properties, bio-plastics and how to process these into products. Please contact us for further help.